Last week I read about the fears that some political liberals were having because of Obama's recent attempt to nationalize health care. Their fears revolved around the possibility that Obama will ultimately fail, and that people would draw comparisons to Bill Clinton's failed attempt at health care reform in the early 1990's. Clinton's health care reform attempt led to sweeping success at the polls for Republicans during mid-term elections in 1994. To calm his liberal friends fears, Obama responded to their concerns by saying "2010 is different from 1994 because you have me." When I read that quote I was startled at what seemed like personal arrogance from our President. I was reminded of a similar attitude displayed by a man named Nebuchadnezzar in the book of Daniel. The Scripture declare that as Nebuchadnezzar admired all that "my hands" had gotten, all that "my power" had gleaned, and all that "my reign" had produced, God took it all from him. Nebuchadnezzar was humbled through being stricken with temporary insanity. He eventually was restored to health, but only after he was broken of his sense of personal power and invincibility. It seems to be a universal principle that God will ultimately bring down anyone who attributes success to his (or her) own abilities and powers rather than God's. All of us should realize that none of us is indispensable, and none of us can take ultimate credit for anything good that comes about. God is the difference maker. Personal pride and arrogance in our abilities is the beginning of a gigantic fall because God ultimately honors only those who acknowledge and trust Him. I am praying for our President. Specifically, I am praying that he will look to God for His ultimate source of strength and not himself. Have you noticed the toll that the office is already taking on our president? Greying hair, weathered lines and a dullness in his eyes. I to pray that he will turn to the Lord Jesus Christ for help and direction in leading our country. I may STRONGLY disagree with many of his policies and political ideology, however, I do pray that if he is not, that he will be saved. I pray Gods best for he and his family, and I pray for his overall physical and spiritual well being. I also prays that if the course remains the same that he will be a one term president. I believe Obama would agree with you, but he would not agree to ‘look to Jesus’. The Baptist Standard Blog wrote of Obama speaking to a church. The article is now located under “Nation” with the title Faith ‘keeps me calm,’ Obama tells church. These are the comments made to Obama’s ‘sermon’. I hate a sermon that doesn’t mention the name of Jesus. Obama had a change to praise the name of his Lord, but he missed it; or did he? No wonder he said America is not a Christian nation if his faith is no better than heathens. written by clhess, January 20, 2010We should give thanks daily for a president who demonstrates some Christianity. Jesus said those who follow him will be persecuted and President Obama is a good example as we observe the non-stop outpouring of hate directed toward him. clhess, you know good works, without Christ, burn in hell just as sin. In Obama’s ‘sermon’ or his many hours of speeches has he mentioned his faith in Jesus? What I call facts, you twist into hate. What you call ‘persecuted’ I call ‘justice’. But Jesus did NOT say, ‘All those persecuted followed Him’. Obama is persecuted for HIS CHANGING America from the skillet to the fire! What will it take for Obama to wake up? I believe Obama’s faith in guiding him is like wandering in the wilderness 40 years. He doesn’t have a clue. written by clhess, January 26, 2010It's too bad we didn't hear anything from former President Bush about deficit reduction. Instead, he took a balanced budget (with a surplus) and turned it into a huge deficit. Same with former President Reagan. He ran in 1980 promising to balance the budget. Instead, he tripled the national debt in just 8 years and said deficits are good for the country. It would be difficult for any president to clean up the mess this country has been in for most of the past 30 years in normal times and almost impossible with the crisis inherited by President Obama. It is sad so many people despise him and continually trash his efforts. clhess, you sound like most of Obama’s speech of playing the ‘blame game’. His efforts are to give respect to gays in the military, promote more abortions, and slash seniors’ Medicare benefits. Like I said before: ‘Over-the-hill’ will soon be ‘Over-the-cliff’. Even though Obama’s book says he is a Christian, it also says if it came to push and shove, he’d go with the Muslims. You said, “It is sad so many people despise him and continually trash his efforts.” Duh? Does Obama pray to God or does he pray to Allah? Obama reminds me of the parable of the dishonest steward by the way he bows down and praises Muslims. When it comes to representing America, he CHANGED the philosophy of ‘Speak softly but carry a big stick’ into ‘laryngitis with a toothpick’. What kind of a message does he send by saying, “We will never be at war with Islam”? He’s the only President in many years that did not attend some kind of celebration for Christmas. After Truman served as President, he was offered many big paying jobs. He refused by saying, "You don't want me. You want the office of the President, and that doesn't belong to me. It belongs to the American people and it's not for sale." I believe the opposite of what Truman did is how Obama fits the parable of the dishonest steward. I thought it was a rather arrogant statement too, and I am more sympathetic towards President Obama than most here see to be (judgiong by various comments in previous threads). Regardless of what I disagree with him on (abortion for instance), like Jack, I pray for him and I pray that his administration will be successful. What concerns me here is that this will open the floodgate for all sorts of bitterness and extreme comments from some--comments which will have little resemblance to the Christianity we claim to espouse. They may have already started. Rex, you and I are usually on the same page, or at least in the same chapter. But you seem to have joined the far right (political) wing chorus of claiming that the President is a closet Muslim. Do you have more evidence other that he does not fit the mold of your (and my) sort of Christianity? If not, I would call your attention to a couple of things. One, my understanding of Islam is that no Muslim is allowed to claim the name of Jesus Christ as a Christian--which the Obama's did to unite with the Episcopal Church, or any other church I know of. I have been told that to ascribe any portion of God's divinity to anyone or thing else is the greatest sin a Muslim can commit. Respecting a religion is far different from adhering to it. Second, there was a time that the disciples came to Jesus and told him thay found a man driving our demons in Jesus'name, and made him stop because "he was not one of us." (Mark 9: 38-40) I'm sure you recall Jesus' response. Is it possible that suggesting President Obama is a Muslim amounts to nothing more than that he is "not one of us"? I'd love to see the comments here stick to topic, which, as I understand it, is about the man's words and actions, not interpretations about his beliefs or character. Good morning friends. I don't know, Wade. The current health care bill has been altered so much, I'm not sure it's accurate to refer to it as nationalized healthcare. It's a fear-mongering tactic to say that Obama has nationalized anything because none of the bailed out industries were nationalized. They were given loans that they have to pay back--that's all. Obama has been very conservative in his approach (some would even argue too conservative) by simply letting those business run themselves and work out their own internal problems. The current healthcare bill contains no public option. It mainly seeks to expand healthcare to about 30 million Americans who are uninsured and also restricts insurance companies from denying care based on chronic conditions or pre-existing conditions. The goal is a worthy goal. And I think it's misleading to say that its failure (if it fails) is rooted in a sin of pride on the part of the president. What we have learned from the past year is that the industry most chiefly responsible for the financial meltdown that has brought this country to the brink of a depression--the banking and finance industry--still won't take responsibility for their actions and still resists significant reforms. If the healthcare reform effort is failing, it predominantly because the insurance industry and medical field is also similarly resistant to needed reforms. Middle class people who are short of money because of the economic downturn may feel that the stimulus was a waste. Here in Georgia, the holders of the 23,000 jobs created or saved by the stimulus would not agree. (These figures are not inflated but were in fact released to Atlanta's major newpaper by our Republican governor's office). Middle class people are angry because their pockets are tight and the bailouts have only benefited the people at the very top and the stimulus has largely protected the people closer to the bottom. Yet that money will trickle down to the middle class. And some of it will trickle up. Why was trickle-down economics okay under Reagan, but trickle down AND trickle up not okay under Obama? In practice, the stiumulus isn't that different from tax cuts that conservatives love. Bush's tax cuts which were too deep and his spending (expanding entitlements) drove up the deficit and still failed to stimulate the economy enough to avert this economic depression. The stimulus is also driving up deficits but at least is putting ordinary people to work and keeping some cash flowing in a stalled economy. Among mainstream economists, there is a consensus that while the economy is extremely sluggish, the stimulus spending and bailouts have been successful, at least for the present, in averting a total collapse of our economy and financial system. It is a strategy of the president's opposition to keep repeating negative things about him until people start to believe those things are true. It's useful to point out that as far as I can tell, he hasn't shown any deep moral failings or character issues. He seems to be a disciplined, smart, concerned, and responsible person, both in his family life and in his work life. Failing to find any deep character flaws, his opposition can only point to possible "secret" sins--such as being a muslim or being prideful in his heart. 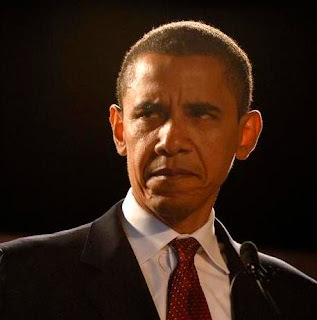 Anyone can be vulnerable to pride, but based on my experience with Baptist fundamentalists, it's a little ironic hearing them wail about Obama's sin of pride. Let them turn and repair the damage they've done to the SBC and then they can preach to Obama. To me, Obama looks more like Job than Nebuchadnezzar. Perhaps, in fact, he hasn't done anything wrong (no sin or separation from God), but because he's reached a dark period, even his friends have begun to say: if you hadn't done anything wrong, you wouldn't be suffering now." But you could easily flip that around. What if Obama's actually suffering for righteousness sake? Jesus himself was mocked on the cross. Apart from preaching, Jesus' most active ministry was healing. He did more to heal the sick than any Pharisee or other type of Jewish leader. He also criticized the Levites, scribes and other self-righteous types for their failure to acknowledge their moral obligation to protect the health or well-being of all of their "neighbors" (Good Samaritan story). Yet for his efforts to heal, Jesus' opponents said his power came from the devil. And for his efforts to defend the poor, he was mocked. Failure in an earthly effort (in and of itself) is not proof of sin or deviation from God's will. I think it's a mistake to judge something like this based on appearances and circumstances. You make a good point, and I stand corrected. The post was not so much about health care, as it was the danger of seeing yourself as the difference maker. Thank you for your comment. I do have my criticisms of Obama. He's not doing well with communicating with people that come from my background--white, conservative, male, evangelical. I'm not sure why. He may have written off the "Bubba" vote, but he still needs the support of independents to govern. The ball is in his court, and he's wasted some opportunities already. One weakness may be that his team is composed mostly of Washington insiders and holdovers from previous administrations. They don't understand that the people expect something more than business as usual in times like these. Obama needs to break out of the Washington bubble and try to connect more with ordinary Americans. I'm not sure he's going to be able to, though, because I think first impressions are powerful. Independents may have already decided he's not their guy. It will be interesting to see if he can turn it around. Thanks once again for replying. Hope you've had a good week. I pray for him and I pray that his administration will be successful. I'm not sure if I could join in that prayer -- depends on what is meant by successful. If success for Obama as our President means a prosperous and safe nation, with continued personal freedoms, I'm all for that. But if success means he is able to get his planned agenda and policies implemented, which are contrary to prosperity, safety, and freedom, then I can only pray for his complete and rapid failure. It seems to me it is sometimes difficult for us to discern the difference between a person's words and actions [or behavior] and that person's motive or character. It is legitimate, it seems to me, for us to discuss and evaluate the first. [Which this post does and I agree with the conclusion.] But the second [Which this post does NOT do.] is beyond our purview. In fact, 1 Corintians 4:5 forbids us attempting to do so. We can assess action/behavior as being right or wrong good or bad, correct or incorrect or even sinful or not sinful. [Depending on our understanding of the biblical standard.] And the words of our President sounded like arrogant words to me. [I've heard many of these kinds of words of late from my President unfortunately.] That kind of speaking or behavior gives me pause in any leader, church, national or otherwise. But any assessment of the heart is God's only. This is where comments can go astray it seems to me. I know which of these Jesus produces in me. So that leaves the other as flesh. Well, I thought someone would quote Proverbs 16:18, but ironically, since I just read this recently, I'll quote it. Your prayer is a good one. I pray it, too. My question: did you notice any pride/arrogance in any of our former presidents, including the most recent one? This president may be--probably is--arrogant, but I did recently hear him admit he made mistakes. I found it refreshing. Anyway, I join you in praying for our President and our other leaders. President Obama will be a one turn pres simply for the reason that America is largely a center/right people. There are on the extreme right and left those who trumpet agendas and iseaologies, but the average American is really a center of the road/libertarian type rather than the far left ideologue that is so prevalent in this admin. Clinton learned this early on on shifted...he was never so concerned about his own position that he was willing to concede his legacy for it. In many ways BO is much more committed to his ideology and I think the prospect of his shifting is very slim indeed. Even if he tried I do not believe the average American will buy it. He is one and done. Since I already stated that I am opposed to "some" of President Obama's policies and goals (giving only one example, but there are more), it stands to reason that I do not pray that the policies I oppose whould succeed. I'm not that stupid! Although I did not state it explicitly, my prayer is that he will be successful in making us stronger, safer, and more respected (militarily, economically, diplomatically, in terms of justice, and even spiritually) rather than in the specific policy areas where I disagree with him. We both know there are those on the far right (politically) who pray, or claim to pray, or at least hope for him to fail miserably at everything, just so it will generate more support for far right-wing candidates. I fail to find Biblical support for that position, and hope that you do too. You may be right about him being a one-term President, and I think you are certainly right about the American people being more centrist than extremist toward either end of the political spectrum. But frankly, I think his chances of being reelected will depend on (1) whether his economic policies take effect so that the average centrist American sees him/herself as better off, (2) how Mr. Obama positions himself politically over the next three years on a variety of issues, and perhaps most of all, (3) who the Republicans run against him. If they pick a far-right candidate--perhaps like Sarah Palin--then all he will need to do to win is convince American voters that he is more centrist than his opponent. If the Repubicans pick someone who is a genuine middle-of-the-road'er, assuming there are so skeletons in the closet, and the person is sufficient charismatic to appeal to voters--you may a much better chance of being right. "I still believe that mixing politics and religion does not Christianize politics but rather dilutes and profanes Christianity." The mixture of 'Christian counseling' in the House on E Street, together with the conducting of illicit relations of some of its residents, is an example of this kind of harm. The group of men sought power by using the Name of the Lord to give them credibility. And then some of them profoundly acted in ways that hurt their wives and the reputation of their association as Christians. The 'pride' is out there. It is the 'sin of sins'. And it does lead into temptation. But it is not the problem of only one side in a political debate. By now, too many have so much 'played to the base' with their public statements against the opposition, that they can no longer conduct any kind of non-partisan co-operation in order to do the people's business. Their 're-election' was their priority. The sell-out to corporate influence (including international and foreign corporations) by our Supreme Court cinches that priority. Our future will be for sale to the highest bidders. I wouldn't be too worried about a one-term president, folks. There is more trouble coming. And it will all be 'so very legal'. It just won't be recognizably American. Liam, I don't know how you missed this one, it has been all over the news. And that is just ONE deal. Nevermind Nebraska and Louisiana. When your platform is made up of empty platitudes called "Hope and Change" with no content, what did folks expect? A rising sun logo? What is up with that? the Messiah to make all things equal? A risk free life in America with 19 czars operating out of the White House. Too bad he does not want the unions to pay their fair share. Hmm. Does not look so 'fair' now with all the deals being made. Hey, the Amish are exempt so I think we should all be Amish now. Lydia, hey, it's nice to hear from you again. Some time, when you have time, tell me a little more about your views and how you came to hold them. I can't quite picture you or your upbringing. It often sounds like there's strong streak of Ayn Rand in you. Is that the case--I mean are you a fan of hers? Honestly, and I know you probably think it's unfair or inconsistent of me, but I don't mind if big labor gets a break. Big corporations get all kinds of breaks all the time, so why shouldn't big labor get a break. There's been class warfare against labor ever since Pres. Reagan fired the air traffic controllers. I say, score one for the working man. Wade, I am not familiar with this quote by the President and you do not provide a reference. Can you give me (and your other readers) the reference for this quote? To much mincing of words. Obama's power is given by God, but his vision is of Satan. Unfortunately, I fear your words may be true. If the President and current progressive leadership succeed in their agenda, what is great about America will be no more. I wasn't implying that you would pray for the success of policies you disagree with. I know you are not stupid. (But I know that I sometimes can be.) I just meant that, when some say they hope Obama fails, they mean they hope the policies they think are bad for the country fail. My personal opinion is that most of his policies (and most of those of most politicians currently in Washington, both parties) are bad for the country. "It often sounds like there's strong streak of Ayn Rand in you. Is that the case--I mean are you a fan of hers?" Ayn Rand was evil. I am no fan. The question boils down to: God or man? You look to Obama and government to solve daily personal problems. I look to government to protect our nation and enforce the basic laws. You look to government for guidance and security. I want to look to the Holy Spirit and be free to make choices based upon that leading. NOt enforced government upon me. As Whittaker Chambers said when he left the communist underground in 1936: "I have left the winning side for the losing side". How can that be? Well, it starts small but when the most independent, hard working Americans took the first subsidy check for NOT growing crops, you are well on your way to collectism being the winning side. And we are more than well on our way. The problem is that you all do not believe that bureaucrats and leaders in government can be as evil, power hungry and greedy as the Barbarian corporate types. And that is where you are wrong. Funny how he blew them off with their input on health care BEFORE the Mass election. Now he is crying bipartianship. Liam, he HAD THE VOTES IN BOTH HOUSES. SO WHAT HAPPENED? "There's been class warfare against labor ever since Pres. Reagan fired the air traffic controllers. I say, score one for the working man." I thought you liberals wanted fair? Obviously not. You want the poor assistant making 10 bucks an hour to pay for the teamster's cadillac health plan. Why should they get cadillac health care plans and not pay the 40% tax that others would have to pay for the same thing? Isn't that just creating more class warfare? And why are there cadillac health care plans in this plan for all Americans to have the same health care? Because they WON"T have the same health care. My "I'm not that stupid" comment came off as being more mean-spirited or spiteful or angry, something, that I was or meant it to sound. Please accept my apologies for that. I assure you: I do some stupid stuff too (in case of doubt, ask my wife). I guess I just wanted to make clear that I was praying for our President, but not that I was praying for the exact same things he wants. Doesn't Ben Cole work for Sen Gregg? Well, Gregg deserves a medal for this exchange. I enjoy reading your posts, but I'd still like to learn more about you. There is a streak of Ayn Randism in your thinking which seems to be an "everybody is on their own and it's sink or swim" kind of thinking. "You look to government for guidance and security. I want to look to the Holy Spirit and be free to make choices based upon that leading. NOt enforced government upon me." With that quote, I'm not quite sure what you're driving at. I look to God for my security the same as you. I'm employed full-time and have insurance paid for by my employer. My evaluations at work are based not only on teaching but also service to the college and community. Being a college teacher is not much different than working for a non-profit these days. There isn't any money in it, but I'm not in it for the money anyway. Teaching is how I fulfill my God-given vocation. It's not a job; it's a way of life built around helping and empowering others. I also serve as an elected officer of a statewide network of educators who cooperate on various teaching and faculty development projects. I don't receive any extra income for doing this. Philsophical issues aside, the main difference between us is that although I don't need government help with my healthcare or to be insured, I am willing to pay some additional tax if necessary to expand healthcare in order to help provide for people that currently don't have access to it. For now, I'm secure. I'm not dependent. But for me, independence is not the only posture one can adopt when relying on God. Interdependence, to me, seems more realistic and appropriate. As in the New Testament times, and I think it is still true today, most of God's children (believers) do not belong to the privileged classes. In short, as much as we try to be self-reliant, we may still at some point, find ourselves to be vulnerable. Interdependence, to me, means recognizing the importance of being willing to help others out of our plenty, and also having the grace to be able to accept help from others in those times when we are vulnerable. Government is basically a way of formalizing a certain degree of interdependence. It's not the only way of recognizing interdependence, but it's one of ways that works. I'm willing to pay some additional tax to help provide a healthcare safety net for those who actually need it because I can at least imagine a circumstance in which I might need it myself one day. Logically, for me, it's an extension of doing unto others what I would have them do unto me if our roles were reversed. Do you never have similar thoughts? Please tell me about your life and your situation. How is it that you have come to be so self-sufficient that you imagine that you might never be in need of receiving assistance, even possibly from some government program or agency? You must be stronger, or richer, or, I don't know, superhuman even compared to me. My mind is pretty good, but at age 43, I've already had a few health problems (nothing too serious). My wife has had skin cancer though, and if she somehow lost her current employer based insurance policy, she would not be able to either successfully apply for or afford a comparable private insurance plan. Such a cirumstance cannot but help shape some of my thinking on these issues. John and Paul, did we engage in “interpretations about his beliefs or character” and evaluate a “person’s motive or character” with Matt Baker? I believe it’s hypocritical to say it’s OK to evaluate the beliefs/ motive/character of a murderer but NOT someone that has prestige and authority. Since God is no respecter of persons, I believe the same rules go for everyone. Their “vision” cannot see any wrong. “Blind, leaders of the blind” – there is no one as blind as those who refuse to see. That would explain why Obama does not mention Jesus, and maybe he figured Allah would forgive or even be proud of him in fooling the American people in joining a Christian church. If my belief on this subject puts me on the ‘far right’, then so be it. Has Obama ever given/been asked to give his testimony in accepting Jesus as his personal Saviour? "Being a college teacher is not much different than working for a non-profit these days. There isn't any money in it, but I'm not in it for the money anyway. Teaching is how I fulfill my God-given vocation." You have less reason to fear a layoff or losing your job than someone in the free market under this president. Education is a very safe place to be. "hilsophical issues aside, the main difference between us is that although I don't need government help with my healthcare or to be insured, I am willing to pay some additional tax if necessary to expand healthcare in order to help provide for people that currently don't have access to it. have no power over if they really will do it with your money. I would rather do it myself in my little corner of the world and encourage other Christians to do the same. I do not trust the government tomake good decisions about people's lives. The crunch is here and they may deny my 90 year old dad certain things because of his age. They have a tendency to see people as statistics. Why waste limited resources on a 90 year old when a 10 year old needs them. It WILL lead to rationing. It always does. Even with greedy health insurance companies, the providers will not deny care. But governmentcan and will. And you have no where to turn unless you go offshore. Which is what many Canadians do now to get simple procedures in a timely fashion such as colonoscopy's. And prices would drop drastically if government would get out of the business with price fixing. I do think you are well intentioned but just naive. Like all the deals already made before the bill came to vote, our government would become totally fixated on special interest groups and who gets what type and amount of care. Those in power in the right parties will get extra like Nebraska and Louisiana in order to secure their votes on other bills, etc. And how would this affect campaign donations? Give labor a better break for support? But not the small businessperson who has no political power? You are just asking for more corruption. BTW: I think every professor needs to work in the private sector before they are allowed to teach. Many times, they have no clue. Teaching in a college is like a vacation compared to what small business owners face every day. I believe Eisenhower said that he being a general did limit him knowing about politics so he had TWO czars. Does having to have 19 czars tell how much of a clue Obama has? No Obama, they don’t “have me”, they have “me” plus 19. I believe having 19 telling Obama what to do would drive him in circles which would explain a lot. A noted political speaker from Texas once described her political opponent as being born on third base and thinking he had hit a triple. When one considers the amazing challenge-free trail that has led this man from allegedly lying to get into college free (which I have from only ONE source) to the coziest of legal careers to a series of easy political races where his opponents either self-destructed or had no business running in the first place, I think we can say that what went around has quite surely come back around. If G. W. Bush played the fool prancing around on that carrier deck, then this poseur plays the prince of fools, in my errant human opinion. Maybe I missed it, but I am still waiting for a reference for this statement accredited to the President. Is there a credible reference? Surely we have all learned to be highly suspicious of unreferenced quotes. I trust Wade and don't want to believe that he got it from an email forward or something. How about it Wade? I did a search on the internet and found it as a second-handed inference by another person, not a direct quote by the President. (http://blogs.abcnews.com/politicalpunch/2010/01/the-big-difference-between-2010-and-1994-is-me-president-obama-says-per-congressman.html). Can anyone do better? Good communication is a two way street - what the writer or speaker intends and what the reader or hearer receives. I am not a great communicator in many ways because what I intend is not often heard. My intention is never to be political in terms of supporting one candidate or one party over another. This post was intended to communicate the need for humility in us all. My only personal discomfort in what I've written is the very difficult, and often erroneous, judgment of pride in another human being. Obama may not struggle with a feeling of personal superiority or pride of self, and I am aware I could be totally misunderstanding his words. If so, then I am in error. Follow the link in this post. I first read the quote there. If you are looking for the primary source, I do not have it, though I believe it came from men in the meeting who reported it to others. The quote comes from an Arkansas Democrate Gazette interview with retiring U.S. Representative Marion Berry -- who heard Obama say "you have me" is the difference between 94 and 2010.
in a university hospital where I saw firsthand that indigent care clinics (which were overflowing) were just a band-aid on the real needs for healthcare in this country. If you read my earliers posts, you would also know that I've worked in a homeless shelter before, coordinated transportation for refugees who live in my area to public clinics, and that I've been organizing and leading volunteer medical teams to work in poor villages in the north of Thailand for the last eight years. We're getting ready to take another team in March. My point is: I'm doing what I can in my little corner of the world same as you. And my experience working in private insurance and the public hospital has convinced me that healthcare reform and more funding for public healthcare is needed. Overall, I do have a more positive view of government, but it is rooted in experience. Here in Georgia, many of my family and friends are active in state and local government and in public education. We find joy in serving and try to be resposible Christian stewards of the responsibilities and the budgets that are entrusted to us. Have you ever served in a public office? Perhaps you should seek to serve in an elected position? Then you might be less cynical about public service or at least a little less critical about "government." I find that those most critial of government are often those who have never themselves served. Thank you Wade. This is a concern to me, because all too often people put words into our mouths (as preachers and bloggers - you know all about this) that they "THINK" we said because of their pre-formed judgment of our character. I see so many conservative Christians (I am one myself) doing this to our President and other leaders with whom they don't agree. Thanks again and keep up the good work. Yours is one of only two blogs I bother to read anymore, because you have proven that I can trust you - and trust you to admit when you (like all of us) get it wrong. That politics has always, and will always, be discussed in religious circles, and even at religious gatherings and church services in our American society. Each political side feels its opponent is most accomplished at this mixture of issues of the heart. That we Jesus-followers also will have the likeness of Caesar or his like jangling around in our own pockets,and owe it to our fellow members of the state to give decisions of state our involvement and full attention. "First off, I really think you have little understanding of the stresses that higher education is under today. Our public colleges are enduring budget cuts, layoffs, furloughs days, and other problems, just like the private sector. And..."
Would you consider 10 years as a project manager for the Chancellor of a statewide college system, experience? And before that a consultant to workforce programs for several state college systems across the US for about 7 years. I have a tiny bit of experience. And I saw both worlds being in thousands of businesses with workforce and economic development programs implemented by the colleges. Do you have any idea what it takes to override tenure? Legislation! Education in state government is the third rail of state politics. A messy thing for sure. But a safer place to be than a small business which operates on the profit principle with no safety net of legislation. "Would you consider 10 years as a project manager for the Chancellor of a statewide college system, experience?" I was waiting for you to tell me a little more about yourself. As I observe how people make decisions, I have found (and I expect you might agree) that experience influences people's behavior more than "knowledge." In our state, we have passed the times when bloated state governments would tolerate waste in programs such as education. In the current environment, every program is subject to tremendous scrutiny to assess its objectives, worthiness, and outcomes. Even some outstanding programs (engineering programs taught by extension in rural areas) have not made the cut in these lean budgetary times. What you said about tenure being tough to override is true. Some professors abuse it, but at our college you can't earn it without significant service to the college or community. Even so, I have always said and still believe that the day that holding on to tenure becomes my main reason to stay in the classroom is the day that it's time for me to quit teaching. I have been enjoying reading the Liam/Lydia dialogue. Firstly, isn't there rationing in place now? If tens of millions do not regularly go to the doctor or get treatments, because of cost and the culture of poverty and the working class,then isn't there a "market"-driven rationing in place already? And the market is rife with nepotism, family money, widely differing opportunity levels for children, etc. So despite wonderful, brilliant entrepreneurs (who should be rewarded), isn't the notion of a "meritocracy" determining our nation's rationing of health care, a disaster for the health of the poor? Your wrote "Why waste limited resources on a 90 year old when a 10 year old needs them?" I am not understanding you here. Assuming a situation of limited resources, which we have now under current conditions, are you suggesting that the 10 year old should be the one to go without? Does any of this have anything at all to do with the current health care bill? "n our state, we have passed the times when bloated state governments would tolerate waste in programs such as education. In the current environment, every program is subject to tremendous scrutiny to assess its objectives, worthiness, and outcomes. Even some outstanding programs (engineering programs taught by extension in rural areas) have not made the cut in these lean budgetary times." You keep believing that. But don't look to the programs, classroom or even faculty for the big waste and bloat. Wrong place and a waste of time. That is not where the biggest boondoggle of education resides. Except, of course, for liberal professors who promote collectivist policies which only serves to increase bureaucracy over the long term. But they do not perpetuate the biggest waste in education in terms of expense. "Firstly, isn't there rationing in place now? If tens of millions do not regularly go to the doctor or get treatments, because of cost and the culture of poverty and the working class,then isn't there a "market"-driven rationing in place already?" We have discussed this many times on this blog and I always mention the way it used to be with charitable hospitals built and funded by denominations. They worked. And when you went to the doctor you paid in full. You did not have a co pay because there was no such thing. No one expected a free ride but then those who could NOT pay, didn't because most hospitals were charities. "And the market is rife with nepotism, family money, widely differing opportunity levels for children, etc." You will have to flesh this one out because I have no idea what you mean.
" So despite wonderful, brilliant entrepreneurs (who should be rewarded), isn't the notion of a "meritocracy" determining our nation's rationing of health care, a disaster for the health of the poor? " Yes. And you can thank government intervention with price fixing, etc. "I am not understanding you here. Assuming a situation of limited resources, which we have now under current conditions, are you suggesting that the 10 year old should be the one to go without?" I am suggesting that neither should go without. But to think that shifting health care to the government will not result in rationing even worse is to ignore history and common sense. "Does any of this have anything at all to do with the current health care bill?" Hopefully not. Let us hope it is dead. Remember, where there is competition and resources, prices drop. Do you honestly think there is no cure for many cancers? Get the government out of the business of regulating healthcare and health insurance and let's see what happens. "They found in one month 13 root canals done on the poor children who did not need them. So this idea that government will be more honest and charitable, rings hollow"
This doesn't sound too good. But the "free" market and the government probably both have a million anecdotal stories for and against them. "That market does not ration except where limited resources and/or regulation force it"
The market rations everything through pricing. Your example of the maternity benefit rings a bit hollow. Businesses have to flee certain areas because of regulations, true. But the problem can also be under-regulation in certain umbrella states that give unfair, and often unwanted, advantages to businesses who operate there. And how many businesses are completely burdened with providing benefits? I wish for some variation of a single payer system (though it won't happen), so that our workforce could be more mobile. Many many people I know cannot afford to take entreprenurial risks because of the health care available at their current job. Health care through employers is like today's indentured servitude - if you leave your job, you can't get it yourself on free market, or at least it is very difficult. I do not deny your statements about charitable hospitals, etc. That sounds great. However, I do think that doctors and companies should be able to provide regular health care to people and be paid for it. Finding a balance is tricky for sure. And government has its own inherent problems, that's for sure. But we should also keep in mind that it is the only institution that represents us all. Government is us - for better, for worse. There must be a balance between capitalism and socialism in this area. My statements about the market are simply that the idea of a "meritocracy" is an illusion if we cannot supply people with basic needs. I am a capitalist in many areas, but not in the areas of health care, basic living supplies and education. If we can't provide reasonable access in these areas, then calling this the land of equal opportunity is a joke. The culture of poverty continues ,generation after generation. I'm not certain any of this has anything to do with the current health bill because the government will be requiring health insurance coverage for more folks. It also keeps insurance companies from turning away people, I think. This will come in handy for our family for sure. I'm not sure how all this will lead to rationing - unless you, once again, it means that more people will have access to health care. And isn't that almost everyone's goal? I also think that none of us are probably educated enough to really make the right call on this issue. We just have our pre-existing biases and then we rationalize from there. But hey, I guess that's all we can do! "This doesn't sound too good. But the "free" market and the government probably both have a million anecdotal stories for and against them." There is no risk free life. That is for sure. "The market rations everything through pricing." "Your example of the maternity benefit rings a bit hollow. Businesses have to flee certain areas because of regulations, true. But the problem can also be under-regulation in certain umbrella states that give unfair, and often unwanted, advantages to businesses who operate there." You are talking about 2 different animals. The ignoring of regulations, lowering taxes and even largesse given to attract or keep industry is a huge problem in every state. Governments should never have started it. What I wrote about the maternity benfit regulation really did happen but it was only one of many regulations for the insurers of that state. I had a small business at the time with 23 employees and it affected us big time. "nd how many businesses are completely burdened with providing benefits? I wish for some variation of a single payer system (though it won't happen), so that our workforce could be more mobile. Many many people I know cannot afford to take entreprenurial risks because of the health care available at their current job. Health care through employers is like today's indentured servitude - if you leave your job, you can't get it yourself on free market, or at least it is very difficult." The free market is the answer. What makes you think government will get it right? Medicare and SS are broke. We need to go back to catastrophic health insurance only. "But we should also keep in mind that it is the only institution that represents us all. " Is that the government you claim represents us all? "y statements about the market are simply that the idea of a "meritocracy" is an illusion if we cannot supply people with basic needs." We already have a meritocracy in Louisiana, the unions and Nebraska. Those deals were made for special benefits to those meritorious people. "'m not certain any of this has anything to do with the current health bill because the government will be requiring health insurance coverage for more folks. It also keeps insurance companies from turning away people, I think. This will come in handy for our family for sure." So, the government will require whom to PAY for health coverage? And how much is it and is it any good? "I'm not sure how all this will lead to rationing - unless you, once again, it means that more people will have access to health care. And isn't that almost everyone's goal?" Is that guaranteed with government run health care? "I also think that none of us are probably educated enough to really make the right call on this issue. " That is exactly what our president said about us! He said it was too complicated and he did not explain it well. Sorry to hear you think we are all as dumb as our president thinks we are. Better to leave it to the educated bureaucrats to sort out. I also think that none of us are probably educated enough to really make the right call on this issue. That may be true, but if the American people are not well-equipped to decide on the direction of health care in the country, then there is even less chance that Washington politicians are equipped to do so. There is far more wisdom in grass-roots America outside of Washington than within that city. I only meant that I know that I am no expert on health care - or economics (and it is completely an economic issue). I am reasonably well-informed, but let's hope that those we have elected consult many different experts with many different opinions. I respect "grass roots wisdom" immensely. But making large-scale decisions requires the extra effort of education on the issue(s). Prices are decided by supply/demand in theory. That is the market's rationing system - and it works well for many, many commodities, but health care is a dangerous one to leave to the market without a safety net. If gas prices go up, we can drive less (to a degree). If flu vaccine prices go up (because of decreased supply for instance), do we want pricing to ration the supply? Or should the vaccines go to high risk people first? "I had a small business at the time with 23 employees and it affected us big time." yeah, I really dislike the fact that employers are saddled with the health care problem. I say sever the connection. Perhaps we can agree on that. The problem with the unregulated free market is that insurance companies have little incentive to cover people who are already sick or high risk. I know there is corruption in government. There is corruption in the private sector too. You mentioned Social Security. It was been a resounding success, radically reducing poverty among the elderly. The problem is that, as Americans are living longer, we have not adjusted the age requirements. Government has yet to make that hard choice - and of course this reflects the lack of will in the electorate. Democracy is far from perfect, but it's the best we've got. But all this said, the balance between socialism and capitalism in our society is very difficult to achieve. In health care, education, security, etc. etc. etc. in everything - so the dialogue is good.
" am reasonably well-informed, but let's hope that those we have elected consult many different experts with many different opinions. I respect "grass roots wisdom" immensely. But making large-scale decisions requires the extra effort of education on the issue(s). You obviously did not pay attention to exactly what happened on the development of this plan. "If flu vaccine prices go up (because of decreased supply for instance), do we want pricing to ration the supply? Or should the vaccines go to high risk people first? But that is exactly what happened with the H1N1 vaccine that the government oversaw. Or don't you remember? "The problem with the unregulated free market is that insurance companies have little incentive to cover people who are already sick or high risk." Unregulated market? Are you serious? The eggs in your grocery store are regulated. Let us step back and ask ourselves something even more radical. Why is the focus on health 'insurance'? Why is it not on cures? Does your health insurance company cover homeopathic cures? I doubt it. It has only been in the last few years that Chiropractic services have been added to some plans. Think of the government regulation and approval insurance companies have to get in order to cover certain therapies and experimental cures. Why? "But that is exactly what happened with the H1N1 vaccine that the government oversaw"
So what happened with the H1N1 vaccines? It's produced by private companies, right? And it's been difficult for them to meet demand for a variety of reasons. I am not sure of your point here. Are you suggesting that the free market system of pricing should determine who gets the vaccine? If a healthy adult male can pay $1,000 he should be able to get a vaccine instead of a poor pregnant woman? I don't see how the market can be left to its own devices here. "Does your health insurance company cover homeopathic cures? I doubt it"
I am glad that insurance companies don't cover homeopathic "cures" since they have never been substantiated beyond the placebo affect. I am certainly open to their effectiveness (though it would violate our current understanding of the laws of physics) if they could be proven effective. "Unregulated market? Are you serious?" My choice of wording was poor with "unregulated market". I meant "free" market, though that is also not completely accurate. Let's just say "the market." Why would an insurance company cover an already sick or high risk person? This commentary is "all over the place." The start is the toll taken on the President's looks after a first year. I have NEVER seen people who were cheering at his election, not chewing on his rear at every turn! What is going on? A good friend is a retired USAF Chaplain. He, from day 1 of the administration, has forwarded some of the most abusive and demeaning stuff about the current Commander-In-Chief I have ever seen. Even when I debate him with corrections and remind him to respect the position even if he can't respect the man---it just keeps up! This is cultural sickness at its worse. No man can lead when there is no will to be followed. Where is any constructive criticism in what is going on these days. Bush led us into this financial mess by claiming to be "Mr. Rightous who never made a mistake." In the meantime, we went to war on false pretenses and the heads of Financial Regulators were, obviously, all braying at the moon rather than enforcing clearly worded laws and rules. The mantra of Securities Sales (I have a Series 6 Liscense) is: "Tell the truth, the whole truth, and nothing but the truth. Never use the word 'guarantee' for any securities product." I am a small businessman living for the last 3 years on 30% of what I made pre-Bush / Iraq War. Every small businessman I talk with is in the same boat: 10-60% of what was 3 years ago. My sister and her husband are school teachers. They don't understand and have little compassion for me. They live off the taxpayer dollar. I can't make any customer hire me while the tax man has severe power to make me pay people like her--and provide a nice retirement and health insurance. Herein, is the disconnect which is causing such problems these days. The banks and investment institutions are living high off my tax dollar given to them to keep them in business. For example, us taxpayers now own 61% of GM. THEN, why aren't all their products 61% cheaper to the taxpayer who owns this amount and, in effect, has paid 61% of their basic cost of operation for the last 2 years??? This would boost sales and create a demand putting workers back to work to produce more cars. It is just that simple: be transparent / do what you promise / help the President rather than just sit and criticize!!! "I am praying for our President. Specifically, I am praying that he will look to God for His ultimate source of strength and not himself." That's funny, I didn't see God being sworn in as commander in chief of the United States of America. The fact is that he IS the president, and in essence the leader of the free world. People in power will use anything and everything to get what they want, and the one thing that is actually used MORE than fear... is God.